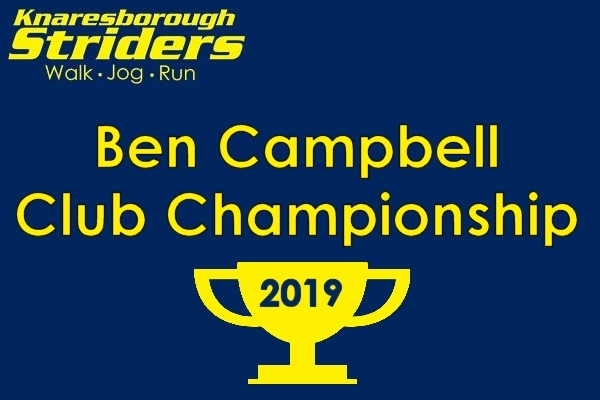 Running across ten months, the Ben Campbell Club Championship has been expanded to 15 events for 2019, giving a wider choice of locations, distances and terrain than ever! Designed once again by our Race secretary Eric, there are five new events including a couple of interesting-looking ‘away days’! The majority remain local races which many of you will already know well. In line with the expanded line-up, members will need to contest 7 events in order to qualify. Our Club Championship is open to paid-up first-claim members, including those without EA numbers. We use mostly local events – ranging from 5ks through to Half Marathons. 2019 category award are to be confirmed. In 2018 the awards were: Senior Men (under 40), Senior Ladies (under 35), Veteran Men (40+) and Veteran Ladies(35+). Age grading adjustments will be applied in all categories and your age on 03/02/2019 will be used for each race. A minimum of 7 races from the 15 to be completed for Championship purposes. Official race results will be used for calculations. Chip times will be used unless Race organiser is using ‘Gun to tape’ timing. Committee decision final in any dispute regarding Club Championship. 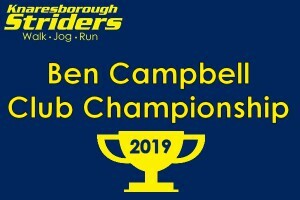 The 2019 events can be found on the 2019 Championship page, the Events Calendar and on the club notice board at KCC. Please enter all races as soon as possible!